A young boy scatters golden kernels of corn to feed the birds of the barnyard, and watches in delight as the birds of the farm parade before him to get to their meal. From fat speckled hens, to drakes with black velvet heads, even his runaway white rabbits, they all join the feasting throng. The little calico cat watches the birds with hunger and fierce longing, but she knows the birds are off limits. The shifty brown rats she spies, however, are fair game. 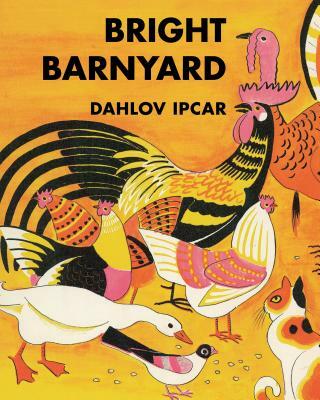 In a career spanning more than half a century, beloved Maine artist Dahlov Ipcar has written and illustrated more than thirty children's and young adult books including Deep Sea Farm, World Full of Horses and Lobsterman. She has exhibited her art in New York's Museum of Modern Art and has completed ten large-scale murals for public buildings.